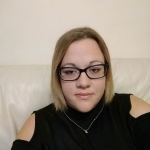 My name is Claire Huzzey and I work with an integrative approach using the three main forces in psychology of Humanistic, Cognitive Behavioural Therapy (CBT) and Psychodynamics. I am able to adapt my counselling skills and combine the theories and techniques to suit your needs. I also can incorporate art therapy and mindfulness into the sessions My experience so far has led me to work with clients who have had a wide range of issues for example depression, anxiety, stress, addictions, relatives of substance misusers, abuse, loss, bereavement, low self-esteem, long term debilitating illness, trauma etc. I am a qualified integrative counsellor BA (hons) degree. As a Registered Member of the British Association for Counselling and Psychotherapy (BACP) I work within their Ethical Framework for Good Practice in Counselling and Psychotherapy which also includes by participating and researching as a part of my continued professional development, I participate in regular supervision sessions in accordance with the BACP recommendations. I also hold an enhanced DBS and am fully insured to practice. I have over two years’ experience in counselling within a drug and alcohol agency working with clients that have substance misuse issues on different stages of recovery ranging from actively drinking and at different stages on the path to sobriety also I have worked with the relatives of people that suffer from substance misuse. Through this I have experience working with clients suffering from anxiety, depression, low self-esteem and trauma as well as how the addiction has had an impact on the lives of both the client and their families. Through working within a college environment as a student counsellor, with students ranging from 16 to 19 years’ old. I have experience of working with the challenges of growing up in the technological world and the issues that can be brought up though social media and any issues that can arise such as anxiety, depression, low self-esteem, bereavements and trauma.